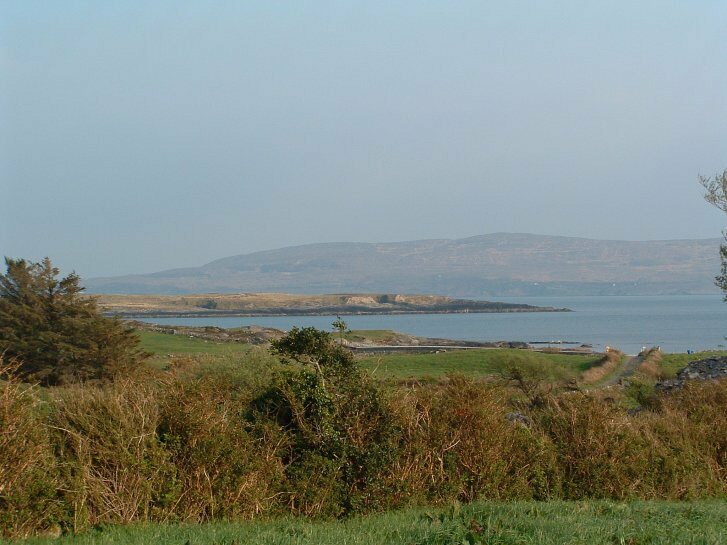 This Irish holiday cottage is a recently rennovated farmhouse overlooking beautiful Bantry Bay. 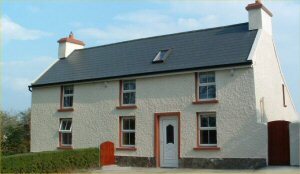 The cottage is under 2 hours drive from Cork & Kerry airports, 1/4km from the seaside and 10km from two golf courses. There are many hillside & seashore walks close by. The large sitting room features a TV and open fire (fuel not supplied) and seats approximately 10 adults. There is also a bright bedroom on this floor with double bed, two bedside cabinets, bedside lights, large double wardrobe and vanity unit with drawers. This room has a beautiful view of Bantry Bay. The kitchen/dining area is spacious but warm with panoramic views of the harbour and distant mountains. The kitchen appliances include microwave, dishwasher, washing machine, tumble dryer and electric cooker. The dining table seats 6 adults comfortably. There is also a downstairs WC and shower room featuring an electric shower. There are 3 more bedrooms on the first floor. Bedroom 1 has twin beds, wash basin and large double wardrobe. Bedroom 2 has bunk beds, vanity unit and double wardrobe. Bedroom 3 is a large family room with double bed and cot (supplied on request). There is also a large double wardrobe and dressing table. The spacious bathroom features an electric shower over the bath, WC and hand basin with tiled walls. The house is heated with oil-fired central heating, which is charged as an additional cost on vacating the house. All bed linen is supplied with additional linen available if needed. Throughout the house runs a natural wood theme, with the traditional pine ceiling boards complimenting the natural wood stairs. The decor is tastefully completed to reflect the original state of a farmhouse of its era. Situated on the main route from Bantry to Castletown Bere this property has adequate parking for 3 cars. At the rear of the house there is a patio, which is a suntrap during the day and has spectacular views over the scenic Bantry Bay. Pubs, shops and the post office are 1km, with the nearest large shopping centre only a half hour drive away. The house is adjacent to a small road that leads to the seaside, approximately 1/2 km. The cottage is only a two-hour drive from both Cork and Kerry airports. Beara is the ideal base for discovering the magnificent sights of West Cork and Co. Kerry. There is much to choose from around the locality to suit every personality. These include historical sights, seaside strolls, golfing, diving, hill walking, sailing/canoeing, fishing, speed boating. Castletown Bere, Glengarriff, Kenmare and Bantry are all close by with restaurants to appeal to every palate but as you can imagine fish is the speciality dish and is guaranteed to be fresh from the sea. This cottage is flexible on changeover day, which can either be Friday, Saturday or Sunday. There is a 50 euros electricity and heating deposit, which is payable locally. Electricity and heating is charged on a meter basis. These will be read on arrival and departure. Charges are deducted from the deposit. Heating and electricity charges may vary depending on the time of year, but usually never exceed 50 euros per week. Any excess is to be paid on departure.